Blood Loss Anemia - What Is It? Women are very prone to blood loss anemia when periods tend to be heavier and longer than normal. This may be the result of other underlying conditions such as uterine fibroids, endometriosis, and more, all of which are professionally diagnosed and most often treatable. Excessive blood loss from childbirth as well as surgical procedures is also a common cause of blood loss anemia. Something as simple as bleeding gums will deplete the adequate blood supply and cause iron deficient anemia. Gastrointestinal bleeding will result in blood loss anemia. This would include conditions such as ulcers, gastritis, hemorrhoids, and cancer. Quite often, bloody stool is the obvious sign of this type of bleeding. However, this cannot always be visually detected. Appropriate testing is done when anemia is present with suspicions of internal gastrointestinal bleeding. Among the signs of being anemic, one may suffer from fatigue, lightheadedness, heart arrhythmias or palpitations, weakness and dizziness, as well as a pale look to the face. 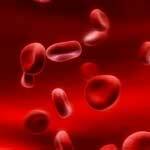 Such symptoms indicate that there has been a decline of RBCs, or circulating red blood cells. When an individual loses 1000 ml or more of blood, this will have acute implications including blood loss anemia. When one is officially diagnosed with anemia due to blood loss, treatment for the underlying cause of the condition will be initiated. One may also choose to include iron rich foods for anemia in the diet as well as other suggested measures of treatment.